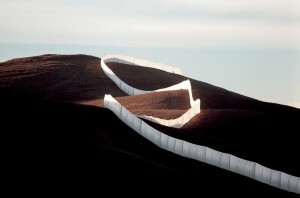 Running Fence, Sonoma and Marin Counties, California, 1972-76. Colby Chamberlain on artist Luis Camnitzer’s offer to President Trump to build that wall, albeit a different type of wall. This entry was posted on Monday, April 3rd, 2017 at 12:12 pm	and is filed under Criminal, Feature, Property. You can follow any responses to this entry through the RSS 2.0 feed. Both comments and pings are currently closed.